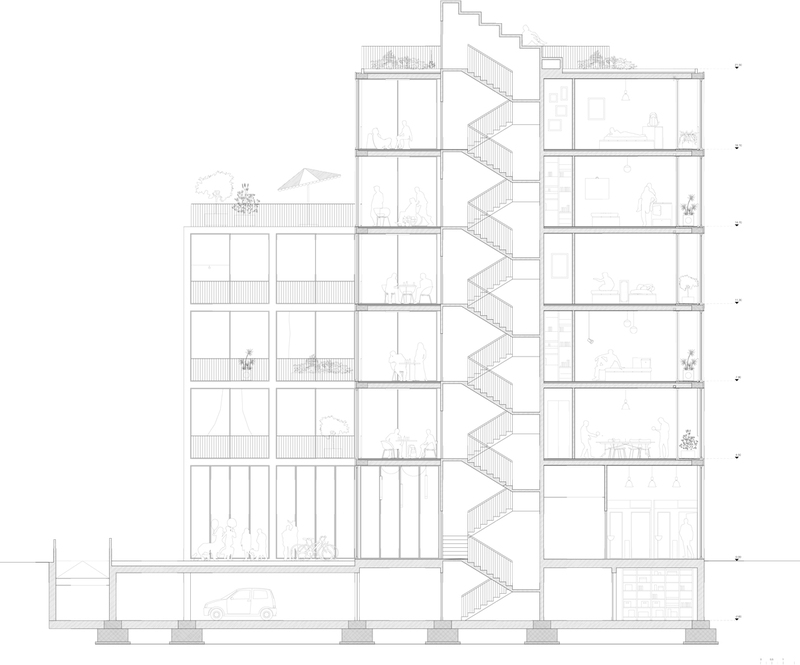 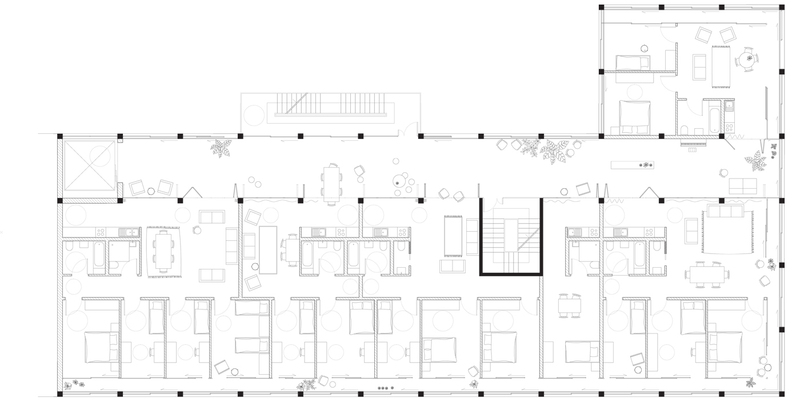 HOUSING, MONACO, GERMANY - 2017 DESIGN TEAM: 2A+P/A (Gianfranco Bombaci, Matteo Costanzo) How to live together seems to be today one of the most complex questions to address. 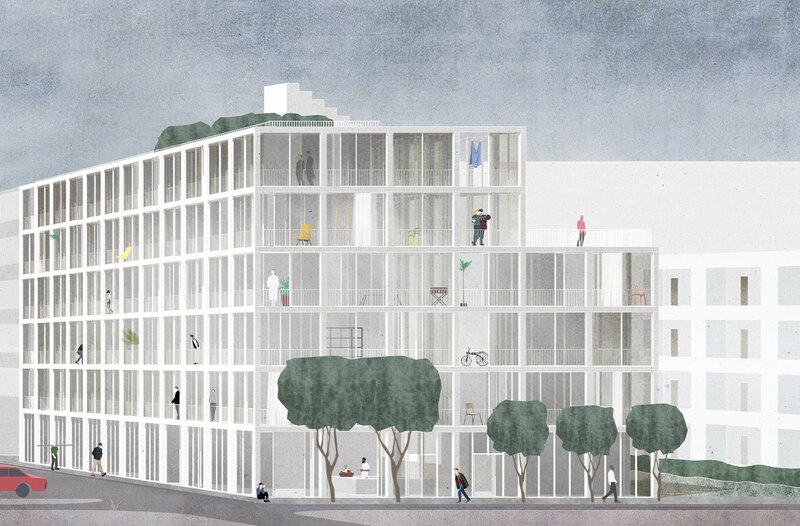 The great social, economic and political change of recent years has shown the inability of the conventional forms of organization of home space to meet new demands, new desires.The main idea is that the building is a living structure, a three-dimensional device able to accommodate a community that wants to live there. 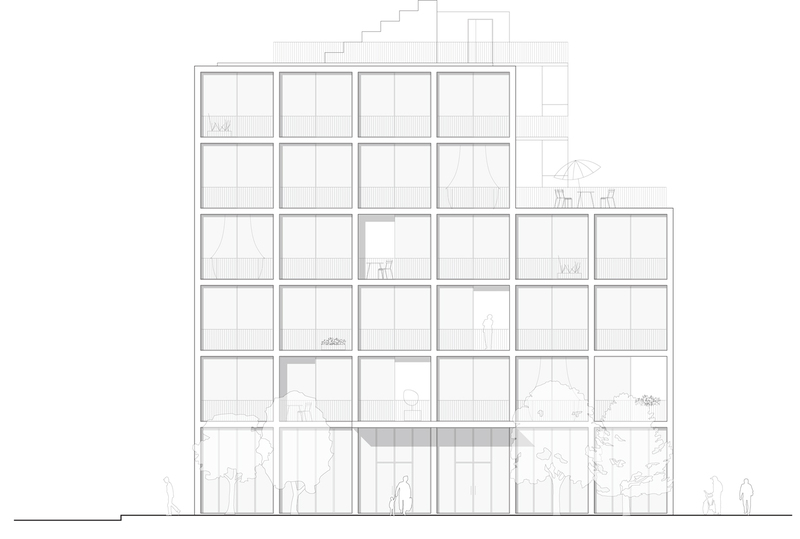 This structure is the grid that allows different way of living, functions, layouts, pitch of openings of all facades and that marks the different levels.